Rituals are there to give you an edge in areas you want to focus in. 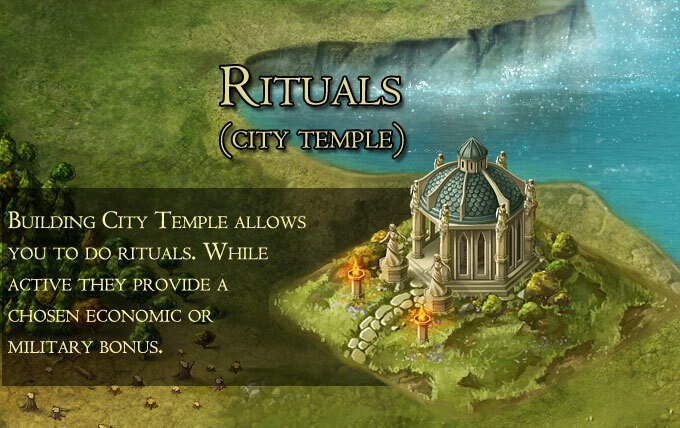 Be it your army's damage or iron production - start a ritual and boost it immediately. Where do I find the Rituals menu? 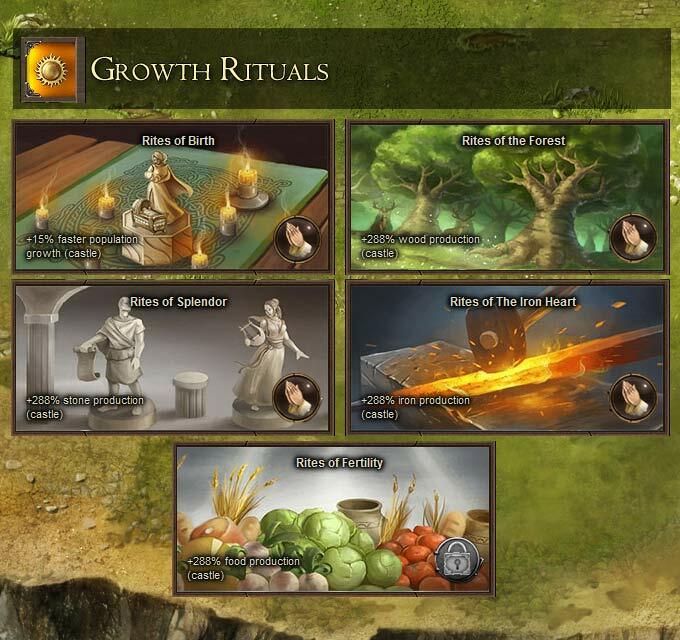 Growth rituals help boosting the production of resources and populations. 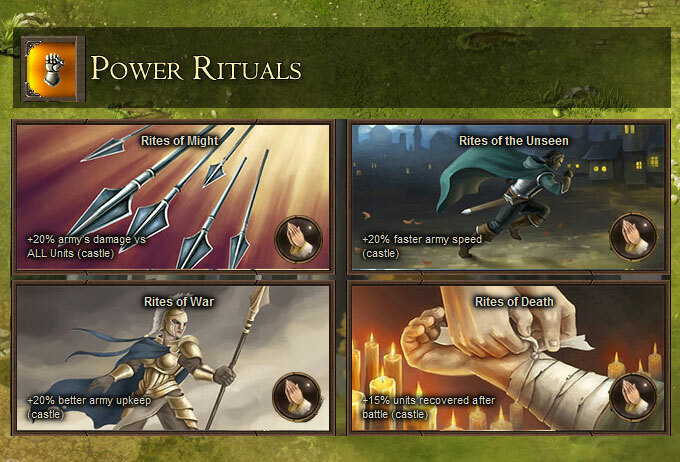 Power rituals help in military affairs; army's damage, speed, upkeep and recovery after battle. The clergy is capable of holding up to 4 rituals per day. 2 of each category. You may have to use gems for the as an offering in order to start all of 4 at the same time.